There is one task. Children need to match pictures with their meanings. The present downloadable teaching material is intended for elementary school students at Beginner (pre-A1) and Elementary (A1) level. 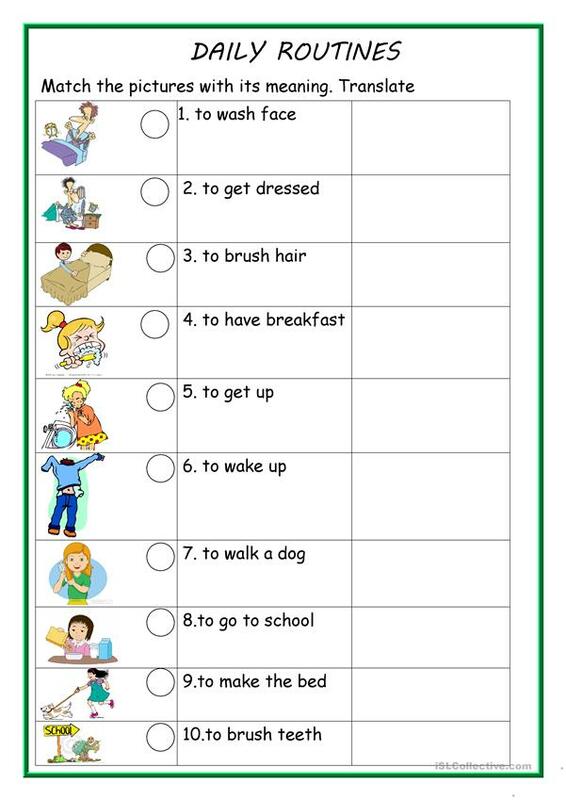 It is great for practising Present simple tense in English. It is about the topic and words of Daily routines.